Central and Western Maryland in September. Last updated: 9/15/2008. 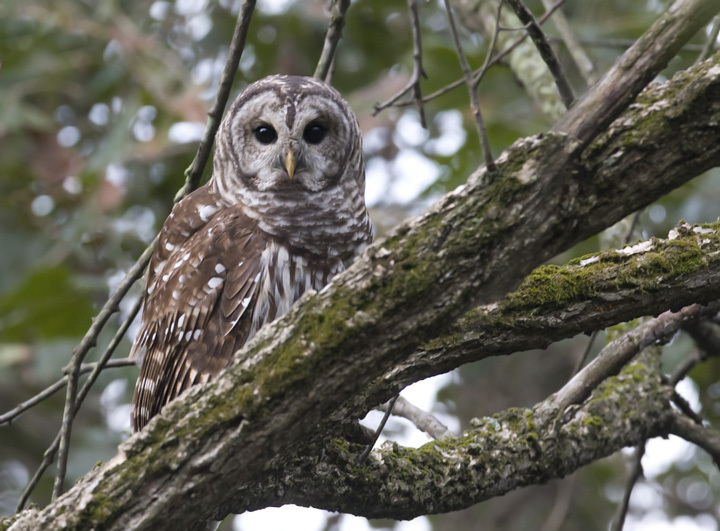 Above: A Barred Owl along a stream in Frederick Co., Maryland (9/14/2008). 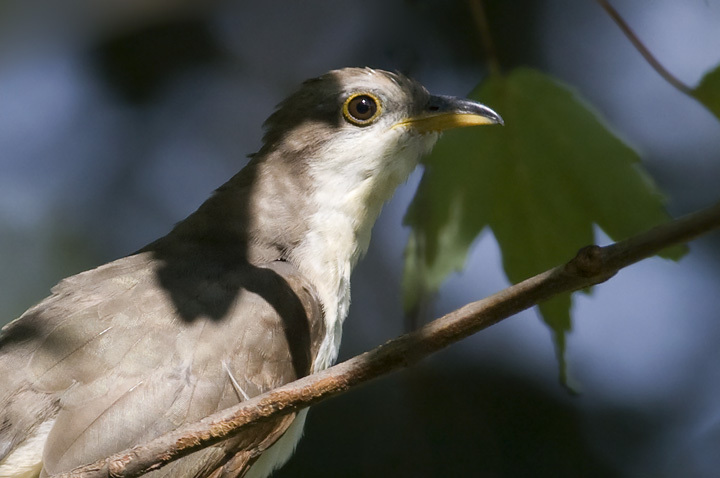 Below: A Yellow-billed Cuckoo at Soldier's Delight, Baltimore Co., Maryland (9/13/2008). 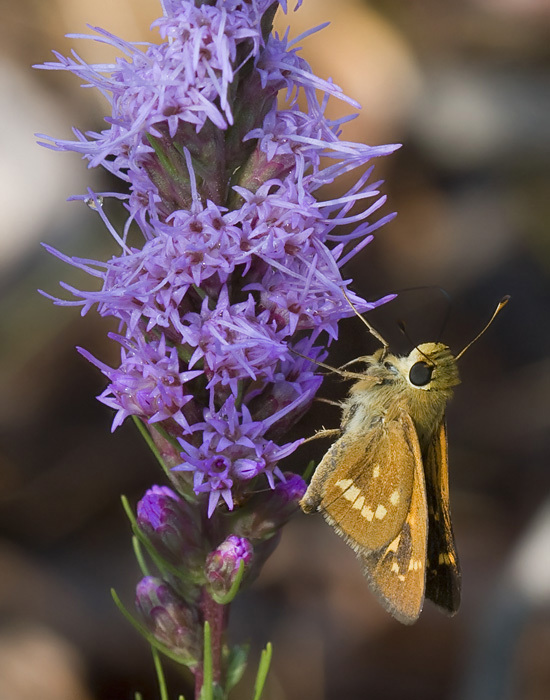 Below: A Leonard's Skipper on Blazing-Star (Liatris sp.) 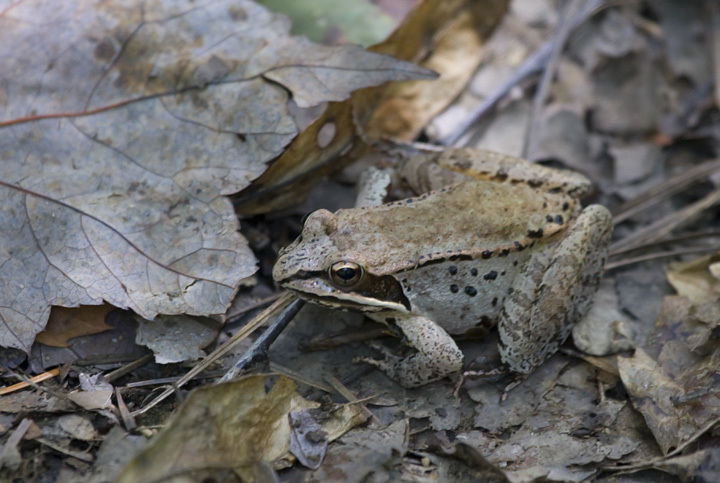 in Baltimore Co., Maryland (9/14/2008). 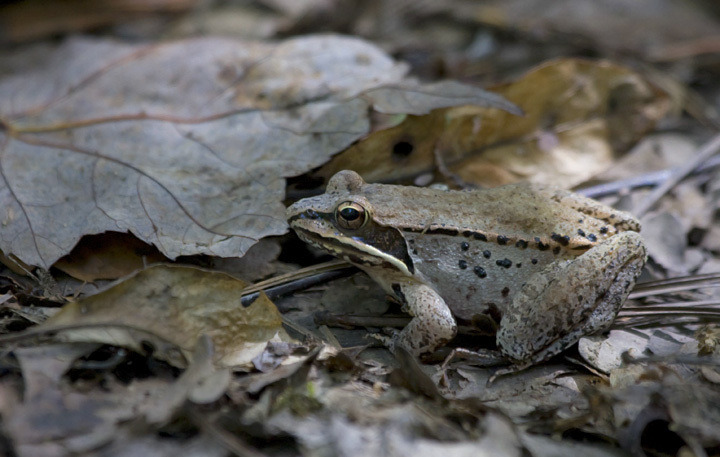 Below: A Wood Frog in the leaf litter beside a pool in the Catoctin Mountains, Frederick Co., Maryland (9/14/2008). Below: The famous Monarch-mimic, the Viceroy, in Frederick Co., Maryland (9/14/2008). This is the classic example of Batesian mimicry. 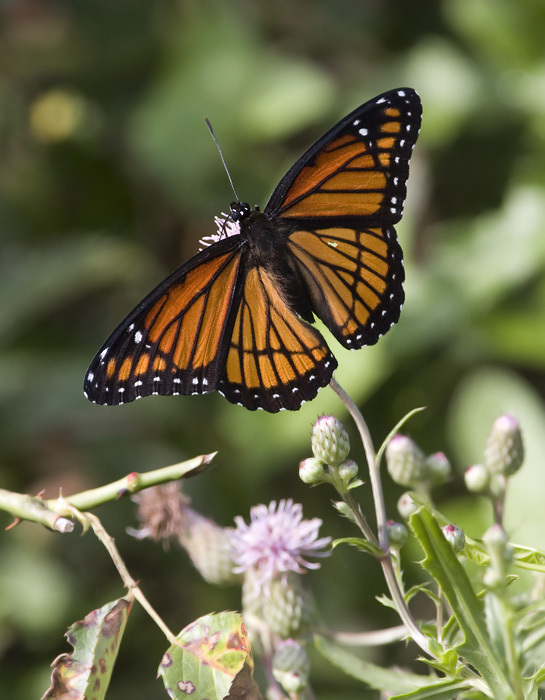 The harmless Viceroy has evolved to closely resemble the Monarch, whose diet of milkweed makes it toxic to predators. After a wicked Monarch hangover, most predators elect to steer clear of the orange ones, and the harmless Viceroy shares the advantage. Below: A River Cruiser resting in Frederick Co., Maryland (9/14/2008). Swift River Cruiser is more expected at this location, but Allegheny cannot be ruled out from this image. A great spot by Jim Brighton. 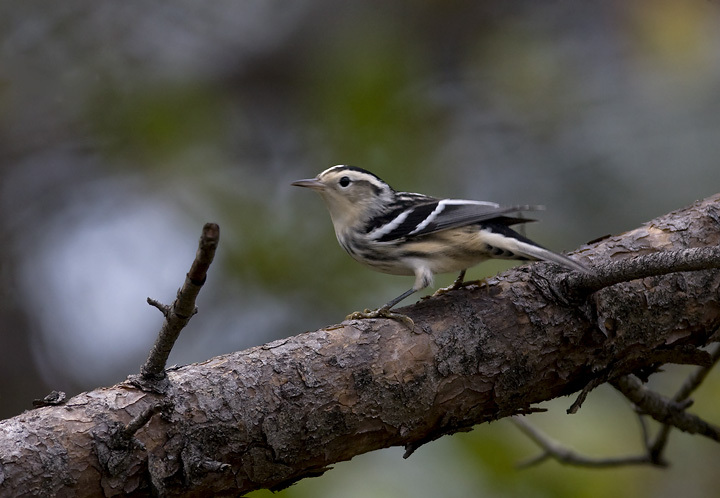 Below: A juvenile Black-and-white Warbler at Soldier's Delight, Baltimore Co., Maryland (9/13/2008). 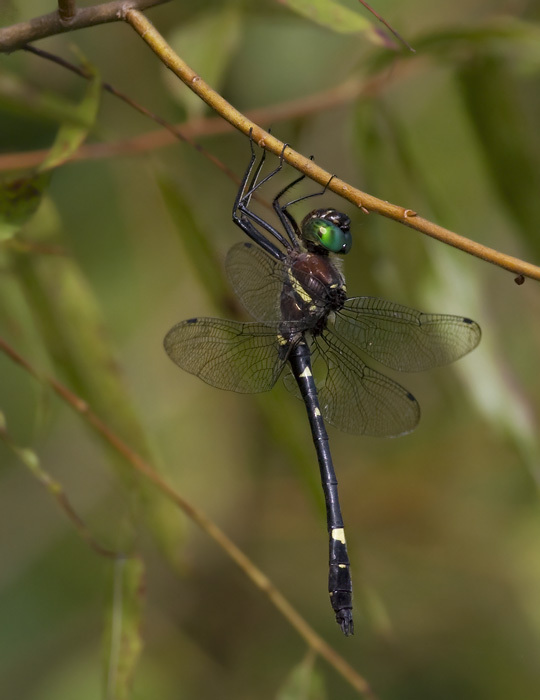 Note the buffy coloration in the flanks. 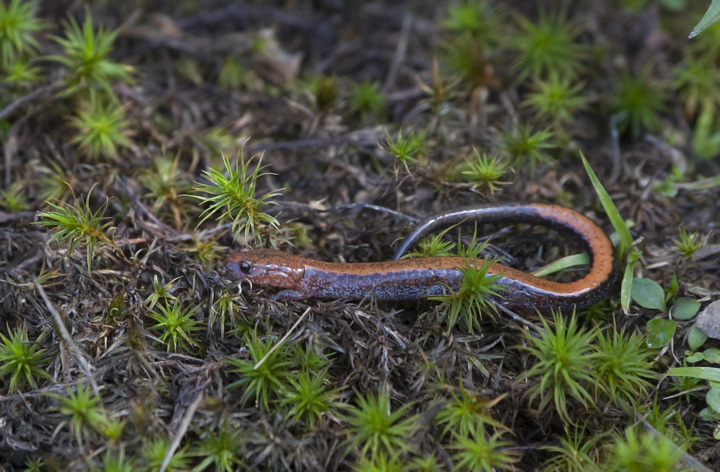 Below: A Red-backed Salamander in the Catoctin Mountains, Frederick Co., Maryland (9/14/2008). 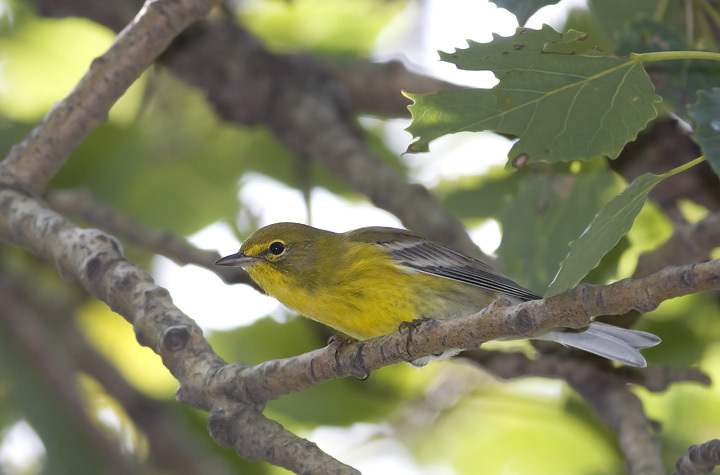 Below: A Pine Warbler at Soldier's Delight, Baltimore Co., Maryland (9/13/2008). 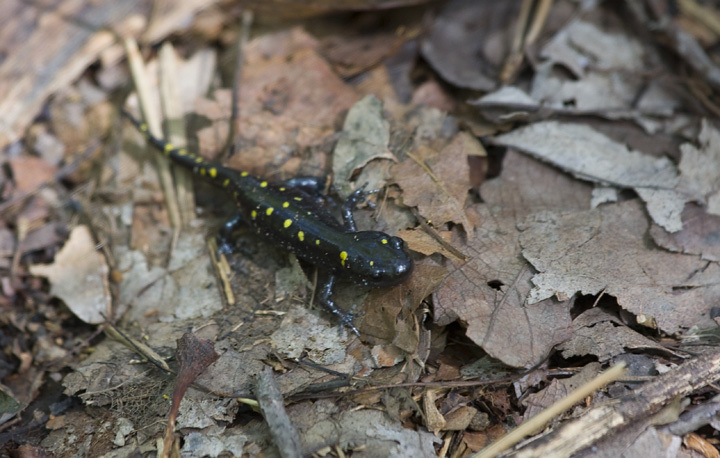 Below two: Spotted Salamanders in the Catoctin Mountains, Frederick Co., Maryland (9/14/2008). 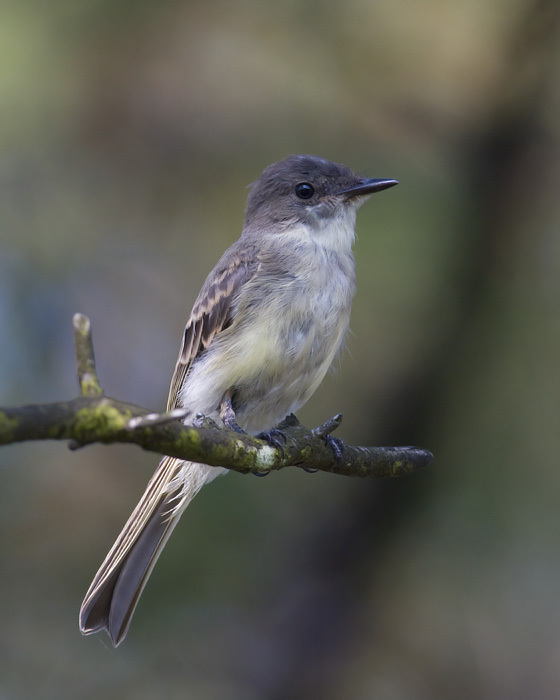 Below: An Eastern Phoebe at Soldier's Delight, Baltimore Co., Maryland (9/13/2008). 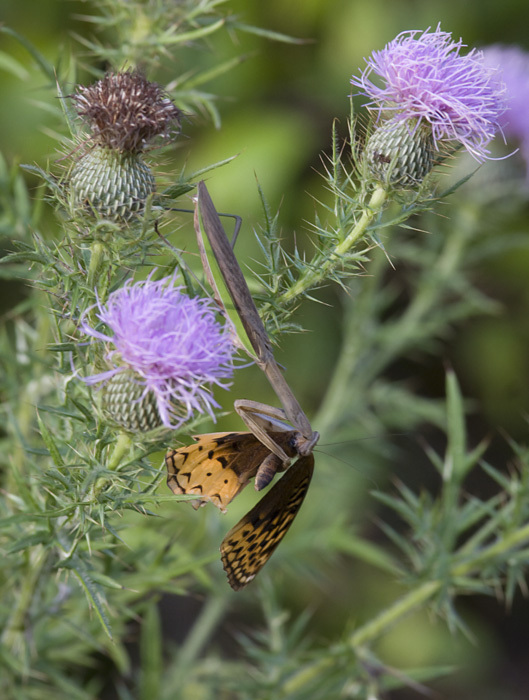 Below: More proof that nature isn't sentimental--a Chinese Mantis (Tenodera aridifolia) devouring a Great Spangled Fritillary (Carroll Co., Maryland, 9/14/2008). 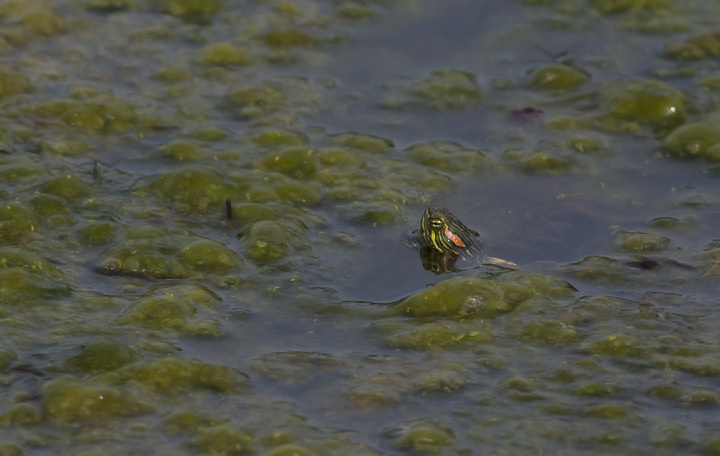 Below: A Red-eared Slider at Lilypons Water Gardens, Frederick Co., Maryland (9/14/2008). 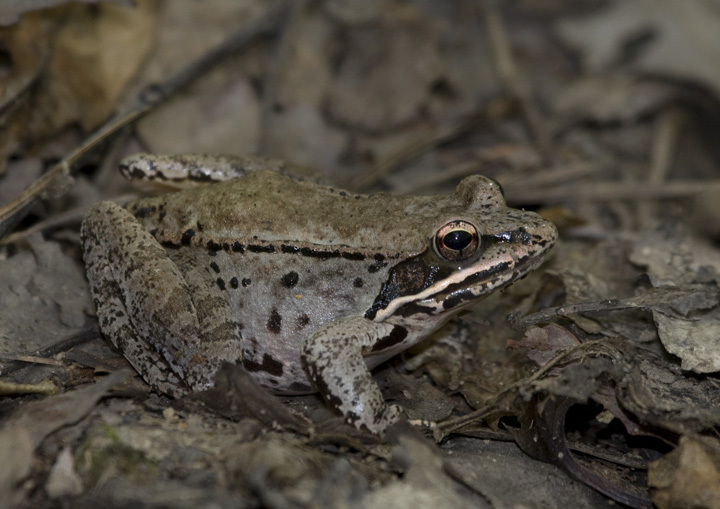 This attractive, non-native species has found its way to many ponds and lakes as released pets. 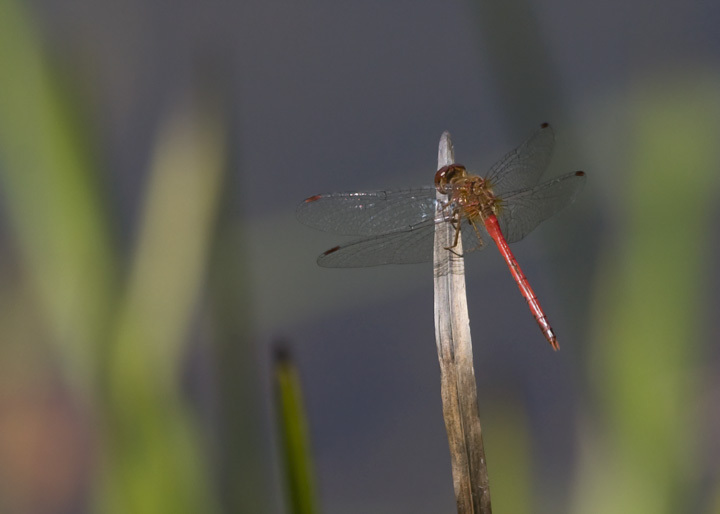 Below: An Autumn Meadowhawk, formerly known as Yellow-legged Meadowhawk, in Frederick Co., Maryland (9/14/2008). 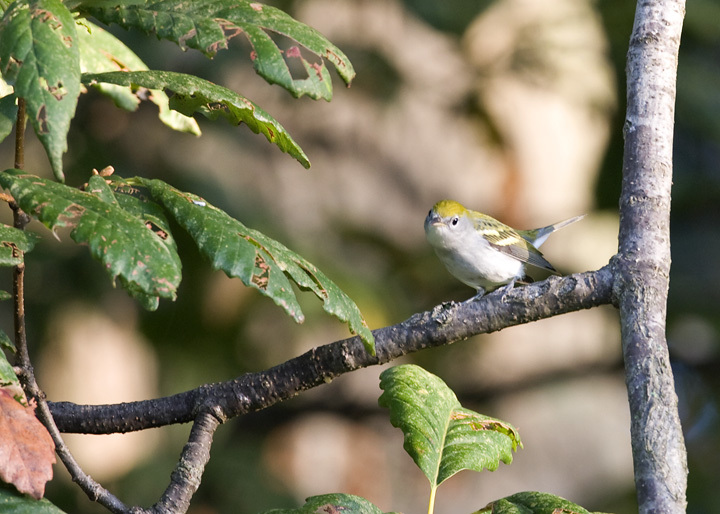 Below: An immature Chestnut-sided Warbler near Sugarloaf Mountain, Frederick Co., Maryland (9/14/2008). 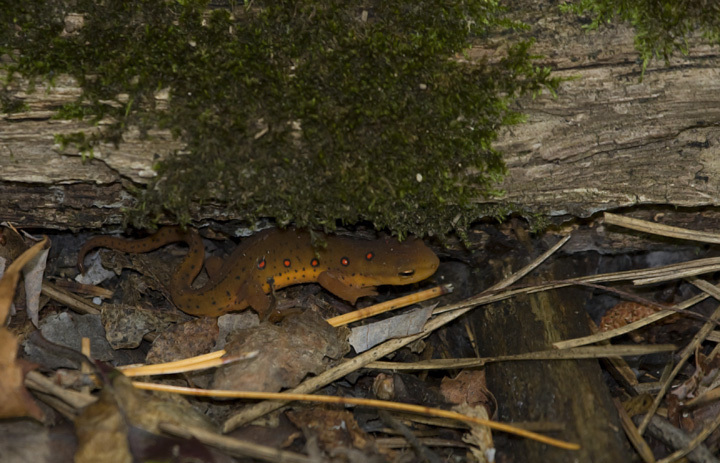 Below: A Red Eft in the Catoctin Mountains, Frederick Co., Maryland (9/14/2008). 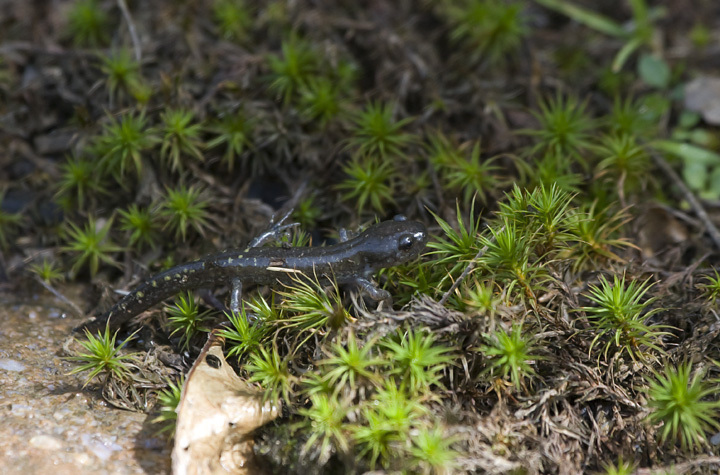 Red-spotted (Eastern) Newts have three life stages: aquatic larva, terrestrial adult (red eft), and aquatic adult. Water, land, and back to water.